Holiday parties. Shopping. Hiding elves. UPS (NYSE: UPS) understands that the most wonderful time of the year may also be your busiest. For that reason, the company is dangling a carrot – no, not the one on a snowman’s nose, more like rewards valued at up to $20 – to encourage U.S. consumers to try alternate delivery sites. 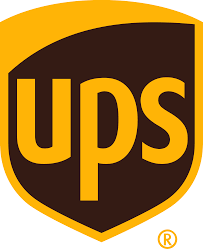 Known as UPS Access Point® locations, they include nearly 9,000 pick-up locations, including The UPS Store® locations and local businesses across the U.S. – such as neighborhood delis, dry cleaners and flower shops. Shoppers can pick up deliveries when convenient to their schedules for no additional fee. To participate, consumers must be enrolled in UPS My Choice®, a free service enabling more than 52 million current members worldwide to manage their deliveries. To begin earning rewards, members should log in and select the most convenient UPS Access Point location as their preferred alternate delivery location.